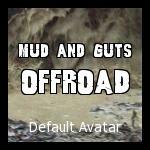 This is a compilation from all the great guys from Teryx forum and Rocks and Ruts. Thanks to all that contributed! Videos are coming. Had a great time, logged close to 60 miles. Only issue we encountered was 1 tire lost its bead on a PoPo. Great day! Sweet! I like rides like that! Got to love those no (or minimum issue) days!